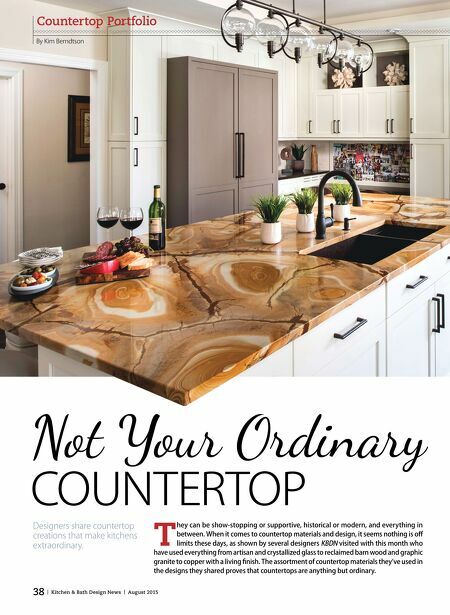 38 | Kitchen & Bath Design News | August 2015 Countertop Portfolio By Kim Berndtson T hey can be show-stopping or supportive, historical or modern, and everything in between. 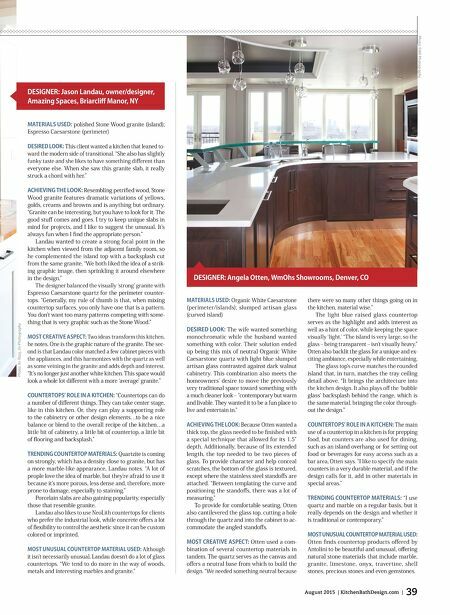 When it comes to countertop materials and design, it seems nothing is of limits these days, as shown by several designers KBDN visited with this month who have used everything from artisan and crystallized glass to reclaimed barn wood and graphic granite to copper with a living fnish. The assortment of countertop materials they've used in the designs they shared proves that countertops are anything but ordinary. Designers share countertop creations that make kitchens extraordinary.